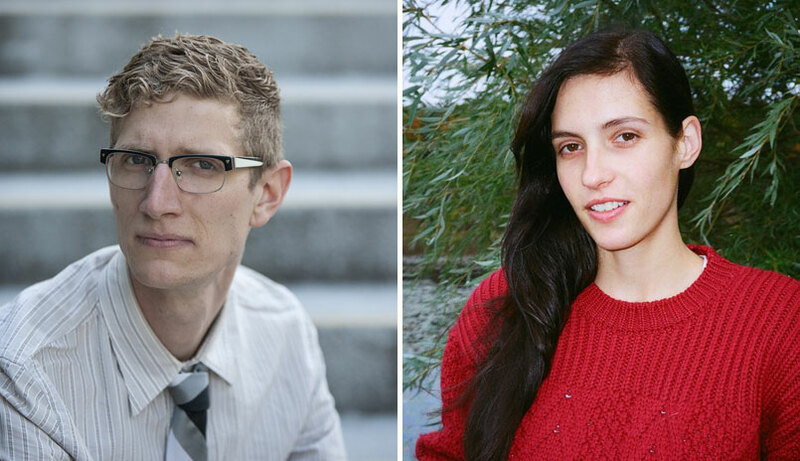 Writer Richard Kelly Kemick and poet Katherine Leyton will read from Caribou Run and All the Gold Hurts My Mouth, respectively, on Tuesday, Oct. 4 at 7 p.m. in the Ganong Hall Lecture Theatre. Richard Kelly Kemick’s poetry, prose, and criticism have been published in magazines and journals across Canada and the United States, including The Fiddlehead, The New Quarterly, and Tin House (Open Bar). He has won the poetry prizes of both Grain magazine and Echolocation. Caribou Run is his debut collection of poetry. Katherine Leyton was the inaugural Writer-in-Residence at the Al & Eurithe Purdy A-Frame in the summer of 2014. Her poetry and non-fiction have appeared in numerous publications, including the Malahat Review, Hazlitt, the Globe and Mail, and the Edinburgh Review. She is also the founder of the highly unorthodox video poetry channel, How Pedestrian. A native of Toronto, she has lived in Rome, Montreal, Edinburgh, and Forlì. The Lorenzo Reading Series gratefully acknowledges the support of the League of Canadian Poets, UNB Saint John, UNB Saint John Bookstore, Canada Council for the Arts, and private reading sponsors. For more information, contact Andrea Kikuchi.